A Mediterranean coastal town, located in the Garraf area in the province of Barcelona offers four kilometres of beach with an amazing sea-front promenade. Time needed to visit Sitges: 1 day, if you really want to enjoy the nightlife maybe add couple of more days is worth to do it. 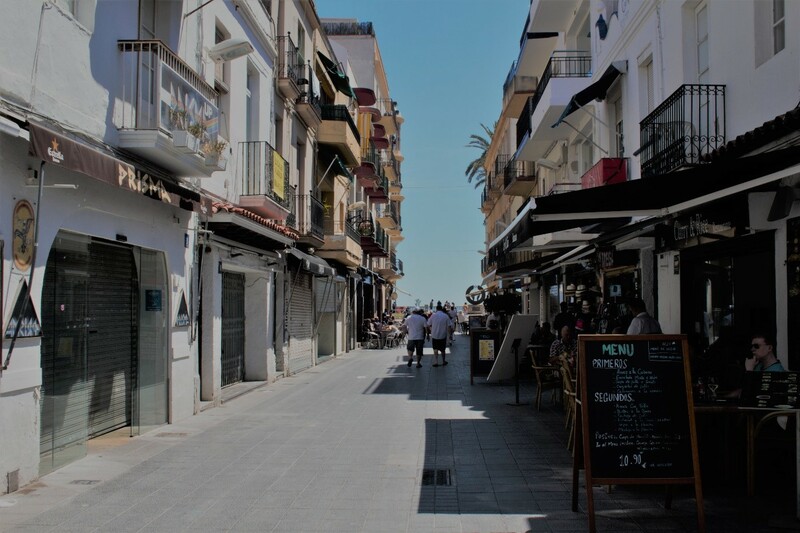 Sitges has 17 beaches, listed are just the most recommended to visit. 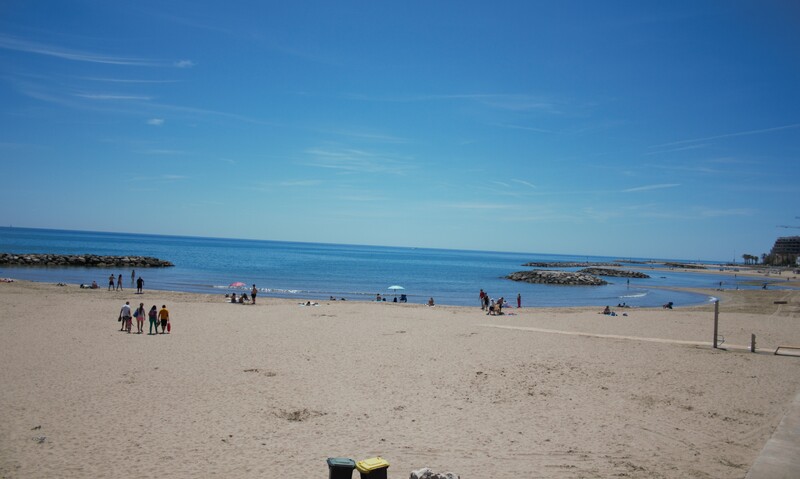 Platja de Les Botigues, it is the largest of the 17 beaches of Sitges. Located in the neighbourhood of Les Botigues with a length of 1400m. Cala Morisca, naturist beach located between cliffs with a length of 140m. Cala Ginesta, small beach within Port Ginesta, you have to enter the port to access the beach. Anquines, artificial beach in front of Hotel Terramar. Platja de la Barra, large beach about 400 m length with four artificial islands to protect the sand. Platja de Bassa Rodona, almost 300 m length beach. This beach is mostly frequented by gay people. Platja de L´Home Mort, is a naturist beach, is mostly frequented by gay nudist people. Is composed for two beaches: Home Mort and Platja de Roses. Sitges is renowned for its nightlife. For a relatively small town offers a lot of bars and clubs. A large percentage of the bars are targeted towards Sitges’ large gay crowd, with some more extreme than others. There are the occasional clubs where females are even not allowed to enter. The whole of Sitges’ city centre is packed with bars offering cocktails, tapas and beers. 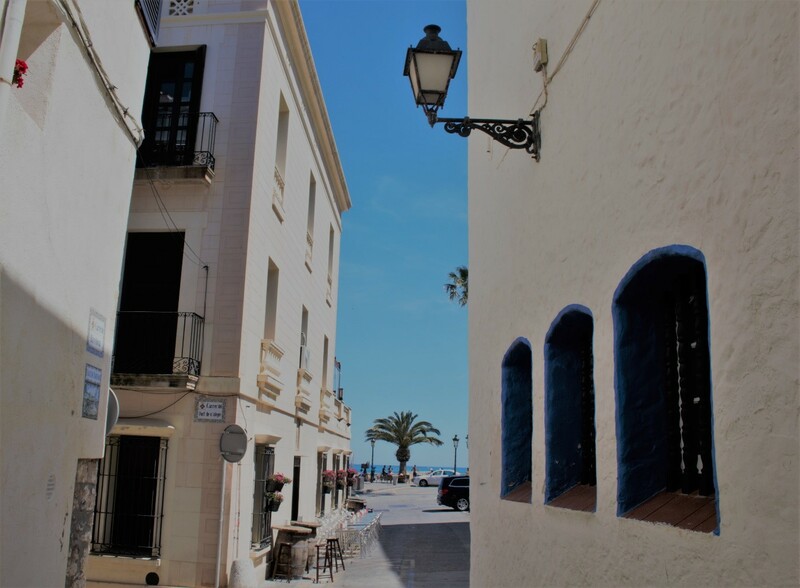 If you will go to the Sitges’ main square, Plaça del Cap de la Vila, all the streets around it are full of places to enjoy a drink and normally with a terrace. Bars: Casablanca Cocktail Bar & Art Lounge, El Piano and El sótano de mama. Clubs: Organic, Pacha and Trailer and L’Atlántida which opens just on summer time. Sitges is 35 km away from Barcelona city. By train, Renfe, the regional train company offers a daily train every 20-30 minutes from Barcelona. You can take that train for example in Plaça Catalunya or Sants Estació. It takes approximately 40 minutes, depends of how often the train stops (approx. 4€ one way). By Bus, the company Monobus offers buses to Sitges from Barcelona, they start from Plaça Espanya and Ronda Universitat during the day. The journey from Ronda Universitat to Sitges takes about 55 minutes and from Plaça Espanya it takes about 45 minutes. The Night Buses are simply given numbers N30, N31 or N32 and not under Monobus. They run from Plaça Catalunya. The night bus journey is shorter as it goes directly from Barcelona to Sitges, with the journey time lasting 35 minutes. (approx. 4€one way). Tips where to sleep, where to eat and drink and what to see and do in Sitges. A great Backpacker hostel in Sitges, there you can have a good change to meet other travellers. Guria Taberna, good food for a small price, quick and fresh, clean, friendly and close to the beach. Do not hesitate to have a quick lunch , tapas or small menu. You will not be disappointed! El Cable, awesome choice of tapas. It’s a cheap outing but the food is great and the place is always busy. Passeig Maritim, about 3 km long of amazing promenade. 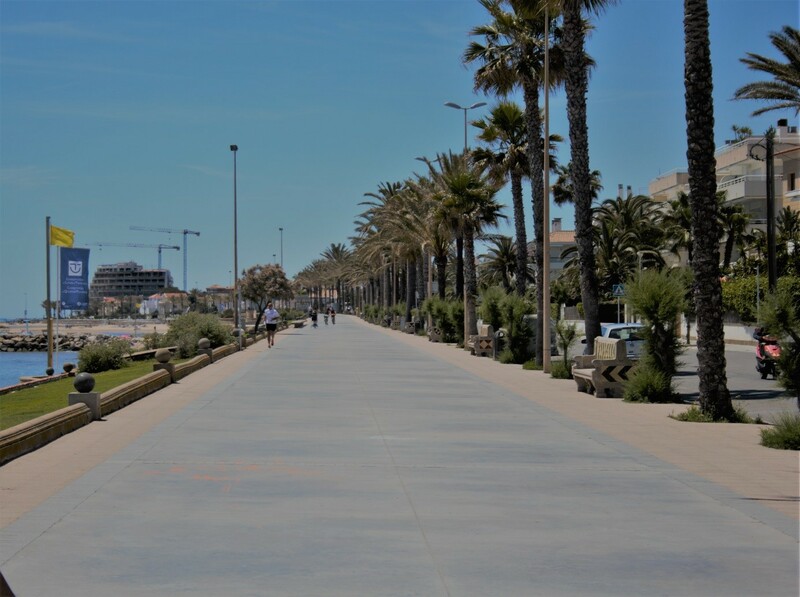 The boardwalk is split by the Church of Sant Bartomeu. Some people find it more inviting then the busy crowded beaches of Barcelona. The town itself is very pretty with narrow streets winding down to the beach. 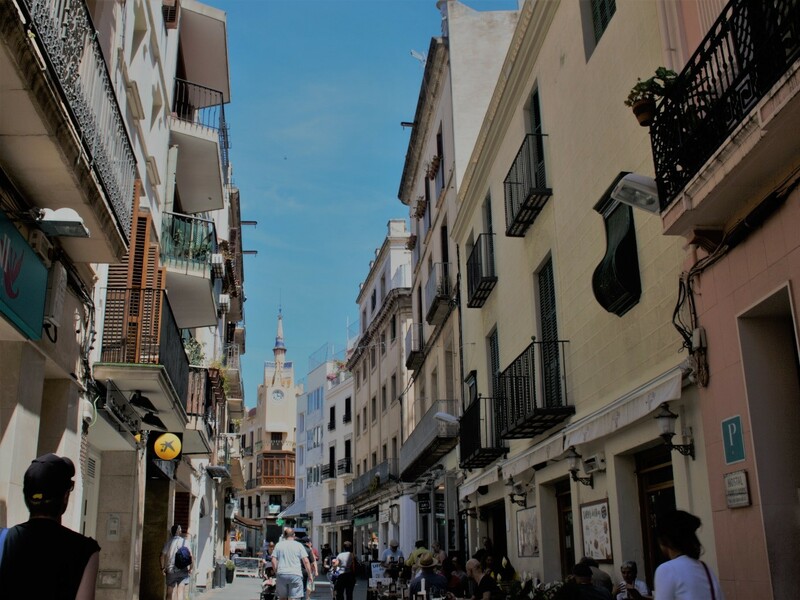 Walking through the old city center, enjoy the walk through the narrow streets in the city center, you will find plenty of shops, bars, restaurants, coffees and in high season it becomes very crowded. Museu Cau Ferrat, the museum itself is between others also home from two great artists, Santiago Rusiñol & Ramon Casas. Definitely worth to visit, great location overlooking the Mediterranean. You will get free Wi-Fi in the museum and if you can visit it on Wednesday, it is for free!!! Església de Sant Bartomeu i Santa Tecla, located at the end of the promenade. It´s prominent position makes it an obvious landmark and tourist attraction and is a popular place to visit. It offers great views of the city and beaches. Sitges Carnival is one of the world’s top 10 carnivals and attracts more than 250,000 people to Sitges over 7 days with amazing parades, shows and parties. This is one of the winter festivals you don’t want to miss! If you are in Barcelona on that dates, use this opportunity, you will not regret it. Sitges Festa Major is the celebration of the towns patron saint. It takes place in the last full week of August and is one of the most important events in Sitges. It is culminating in a stunning 30-minute firework display that lights up the Mediterranean Sea. If you can plan your visit in that dates, do it, is worth it! 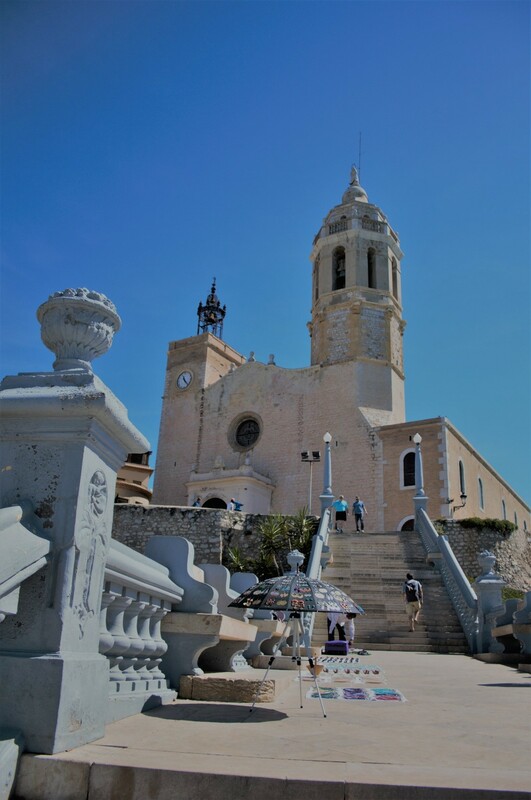 We hope you like our Sitges Born Backpacker Guide, follow us there is more to come! exactly, everybody visit just Barcelona, and Catalunya has a lot more to offer!